The reality television cast-member, author and entrepreneur is Teresa Gorga. He is professionally known as Teresa Giudice. She is best known for her appearances on the reality television series. She is famous for the starring role in ‘The Real Housewives of New Jersey’. She is known for her extravagant lifestyle and highly publicized financial and legal troubles leading up to her prison sentence. She has written multiple ‘New York Times bestseller’ cookbooks and was featured on ‘Donald Trump's The Celebrity Apprentice 5’. Teresa’s husband Joe to be deported to Italy once he releases from federal prison next year. He has been taken out from the United States. Teresa Giudice birth name is Teresa Gorga. She is born on 18 May 1972 at Paterson, New Jersey, U.S. She was born to Giacinto Gorga and Antonia Gorga. Her mother died in March 2017. He is born to Italian immigrants. She has a younger brother named Joey Gorga. They were raised in the Catholic faith. She belongs to American nationality. She studied fashion marketing at Berkeley College. Teresa weight is 70 kg and height is 1.73 m. Her hair color is brown and eye color is dark brown. Overall, she has a balanced and healthy body. Giudice worked for Macy's as an associate buyer. She has been the cast member of ‘The Real Housewives of New Jersey’ since season 1. She has also co-authored three cookbooks named as ‘Skinny Italian’ which was published on 4 May 2010), ‘Fabulicious’ which was published on 3 May 2011 and ‘Fabulicious! : Fast & Fit’ which was published on 8 May 2012. She also has written a memoir with K.C. Baker named ‘Turning the Tables: From Housewife to Inmate and Back Again’. 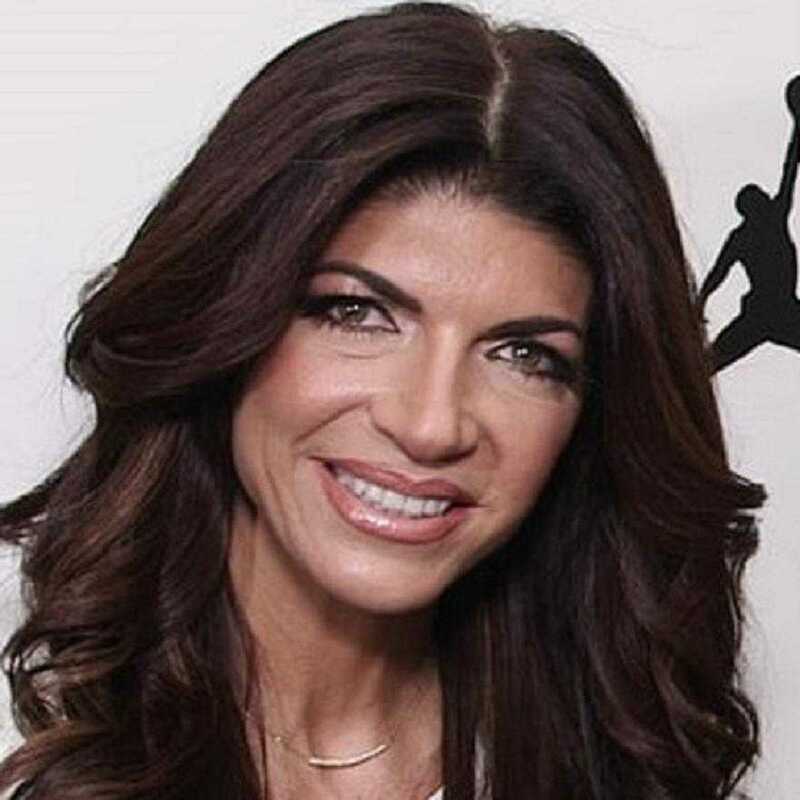 She also created Fabellini, a line of Bellini cocktails, as well as a hair care line with Jerel Sabella named after Giudice's daughter, Milania. In 2012, she joined the cast of ‘The Celebrity Apprentice 5’. She was fired in episode 12. She released her sixth book ‘Standing Strong’ which was released on October 3, 2017. In October 2009, the Giudices filed for bankruptcy. On 29 July 2013, Teresa and Joe Giudice were charged with conspiracy to commit mail fraud, wire fraud, and bank fraud, making false statements on loan applications, and bankruptcy fraud. On 14 August 2013, the two pleaded not guilty in federal court to financial fraud charges. Teresa was sentenced to 15 months in a federal prison and Joe was sentenced to 41 months, followed by potential deportation to Italy. Giudice was ultimately released on December 23, 2015. Teresa is a married woman. He is married to Giuseppe "Joe" Giudice. He has worked as a construction builder and restaurant owner in New Jersey. They have four daughters together: Gia, Gabriella, Milania, and Audriana. Giudice’s net worth is $11 million which is debt. She is of Italian descent and speaks Italian fluently. She is a committee member for Project Ladybug, a charity founded by fellow RHONJ co-star Dina Manzo.